Astute readers of Flying Lessons may remember that in the fall of 2010, I published here a series of posts about the week I spent as a student at the Airline Training Center of Arizona, the flight school owned and operated by Lufthansa. (I also wrote about it for The New York Times.) This was the same flight school and at the same time that Andreas Lubitz was first learning to fly powered aircraft. Nearly all of the more than five thousand pilots who work for Lufthansa and its subsidiary Germanwings, learned to fly at the ATCA. It is the first step of a several year training routine. 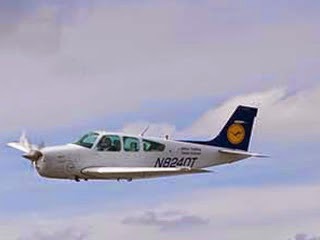 Among the young people with whom I bunked at the dorm on the property, few had ever been in a small airplane when selected by Lufthansa to become airline pilots. Here at the spacious complex at Goodyear Airport just outside of Phoenix, they would learn the very basics of piloting and just as important, I was told by the school's instructors, learn to work as a team. 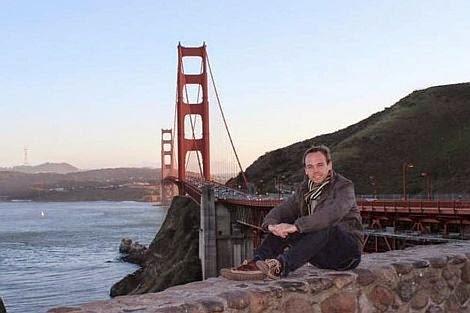 Lubitz, the now famous first officer alone in the cockpit when Germanwings Flight 9525 inexplicably descended into the French Alps, was one of the many fresh-faced men and a few women who studied here at the same time, though I do not remember meeting him while I was there. Ostensibly he lived in the same dorm where I stayed, swam in the pool or barbequed on the deck and stayed up late at night worried about the tests he would face in the morning - both written and inflight. Which is why when Lufthansa's CEO Carsten Spohr told reporters he was shocked, that the young pilot had been "qualified, trusted and showed no signs of physical or psychological distress," I believe it. This is an airline that takes pilot selection seriously. One evening gathered around the large dining table in the dorm's common area, I sat with about a dozen of the students who were learning to be pilots. I was curious to know why - since they didn't bring piloting skills to the game - Lufthansa had selected them. Training would take years, Lufthansa was spending a lot of money per person to take them from green barely-out-of-their-teens to aviation professional. Why them? Each described a grueling procession of interviews with multiple people each specializing in another aspect of human performance and psychology. They took aptitude tests that required the memorization of lengthy numbers and pattern recognition sometimes involving keeping mental track of one thing while concentrating on some physical coordination task. English skills, math skills were stressed, and then, the coda: before they arrived, they had to already possess the ability to work well with people, team membership as it were. That is what separated them from the pack. It was easy to see this was an eager bunch, as psychologically healthy a group of young people as I've had the pleasure of living with and as the mother of 4, that's not a statement I make lightly. I've been around a lot of young people. So if I hadn't already been saying, "wait for more information" to arrive before hanging this murder/suicide by airliner on young Lubitz, I'd be saying it again, in light of my recollections of my time attending flight school with him. There is evidence in the mountains still awaiting collection and analysis. For heaven's sake, what is the rush?